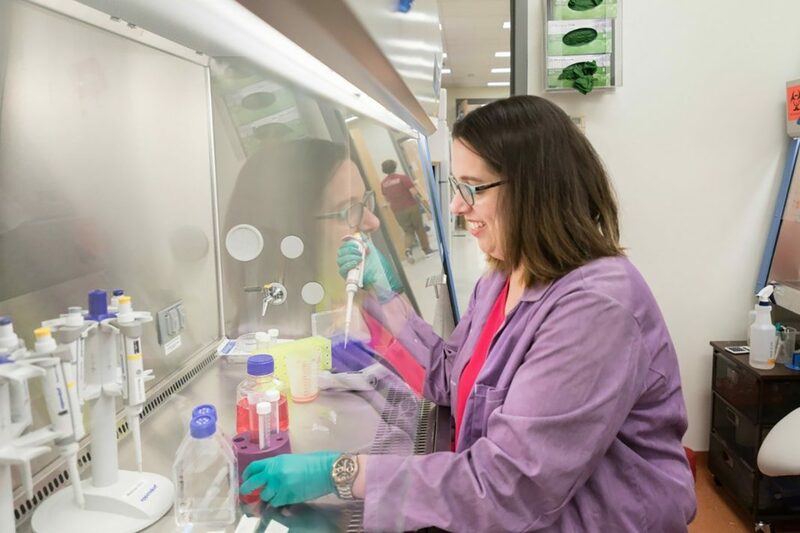 Scientists at Virginia Tech, led by Jennifer Munson, Ph.D., an assistant professor in the department of biomedical engineering and mechanics in the College of Engineering, say they may have found a solution to stopping the spread of glioblastoma. In an article (“Convective forces increase CXCR4-dependent glioblastoma cell invasion in GL261 murine model”) published in Scientific Reports, Chase Cornelison, Ph.D., lead author and a postdoctoral researcher at Virginia Tech, details the use of a drug that Dr. Munson’s team found can block the way cancer cells respond to fluid flow. 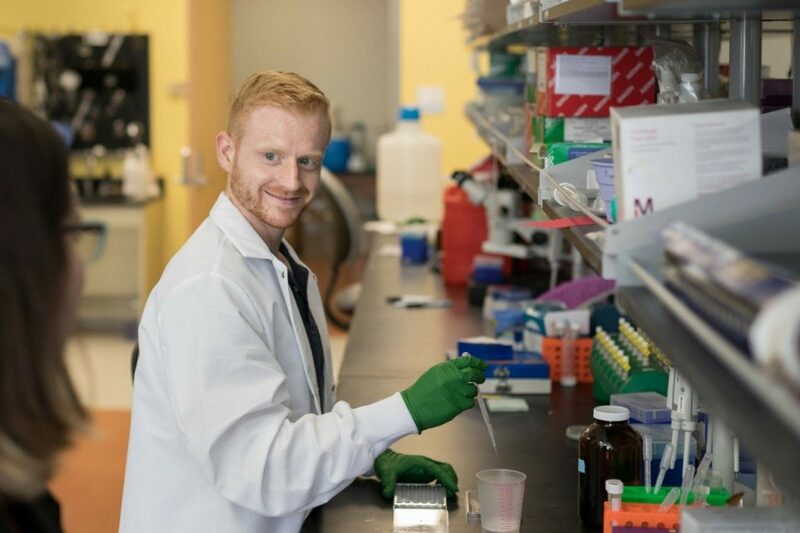 This work is part of a Dr. Munson-led five-year research grant project across multiple universities examining the role of interstitial fluid flow in the spread of glioma cells. Virginia Tech team members used mice with glioblastoma to test how a particular approach to delivering cancer treatment caused glioma cells to invade the rest of the brain. In labs, Dr. Cornelison and others on Dr. Munson’s team used mice with glioblastoma to test how a particular approach to delivering cancer treatment—convection-enhanced delivery—caused glioma cells to invade the rest of the brain. To block the fluid’s rapid movement and the spread of cancer cells, they tested a drug called AMD3100. The drug, which already has been used in clinics, appeared to be a game changer, Dr. Cornelison said. “Glioblastoma is the most common and malignant form of brain cancer. Its invasive nature limits treatment efficacy and promotes inevitable recurrence. Previous in vitro studies showed that interstitial fluid flow, a factor characteristically increased in cancer, increases glioma cell invasion through CXCR4-CXCL12 signaling. It is currently unknown if these effects translate in vivo. We used the therapeutic technique of convection-enhanced delivery (CED) to test if convective flow alters glioma invasion in a syngeneic GL261 mouse model of glioblastoma. The GL261 cell line was flow responsive in vitro, dependent upon CXCR4 and CXCL12. Additionally, transplanting GL261 intracranially increased the populations of CXCR4+and double positive cells versus 3D culture,” write the investigators. The majority of this research happened at the University of Virginia, where Dr. Munson previously worked before she came to Virginia Tech in 2017. The study’s finding could lead to stopping glioblastoma from spreading, Dr. Cornelison said. “I am hopeful that since the drug that we used to block flow stimulation is currently used in patients that maybe clinicians, when they do consider using convection-enhanced delivery, will combine that with this drug,” he said.